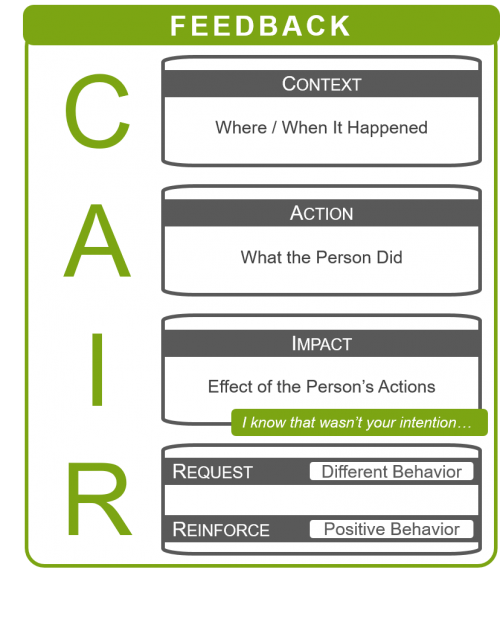 Providing feedback — letting people know that what they’re doing is the right thing or not. The best leaders provide feedback; their people always know where they stand. There is no ambiguity. Having those difficult conversations when the performance or behavior is unacceptable. The best leaders have those difficult conversations sooner rather than later. They don’t let one employee negatively impact the team. Deliberately building the talent on your team through coaching — taking good performance to great! The best leaders help develop and guide their people. They coach them to be better than even they thought they could be. Delegating projects and tasks to challenge and motivate employees, while increasing the chance of success. The best leaders challenge their people with stretch assignments; yet ensure that they will succeed. Motivating your team and each individual on your team through encouragement and recognition. The best leaders give credit when credit is due. They know what motivates their people. With that in mind, we've developed handy models that cover the Three Performance Conversations leaders must master in order to be effective. Over the years, these models have been honed and refined so they are clear, simple, easy-to-use, and — most importantly — effective. 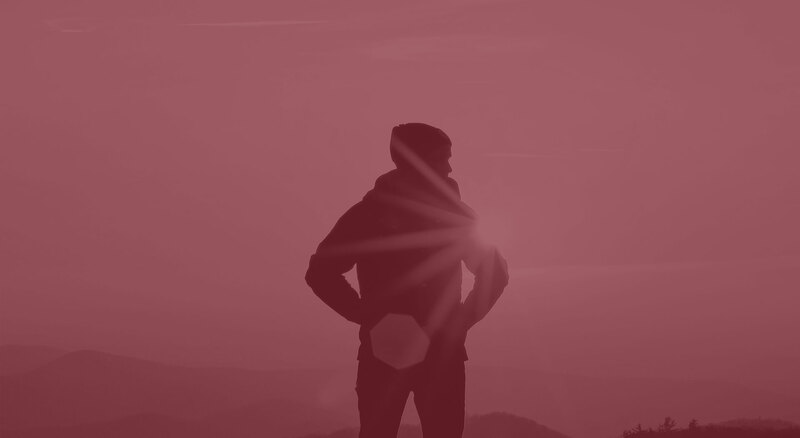 When leveraging these models, it's important to note that they are meant to be used in conjunction with our Unleash Your Leadership Potential program for maximum impact. Useful information that the other person doesn’t have; not judgment. Future-focused; not dwelling on past events. Coaching is a conversation that occurs between a coach and a coachee who have a professional relationship of trust and respect for each other. 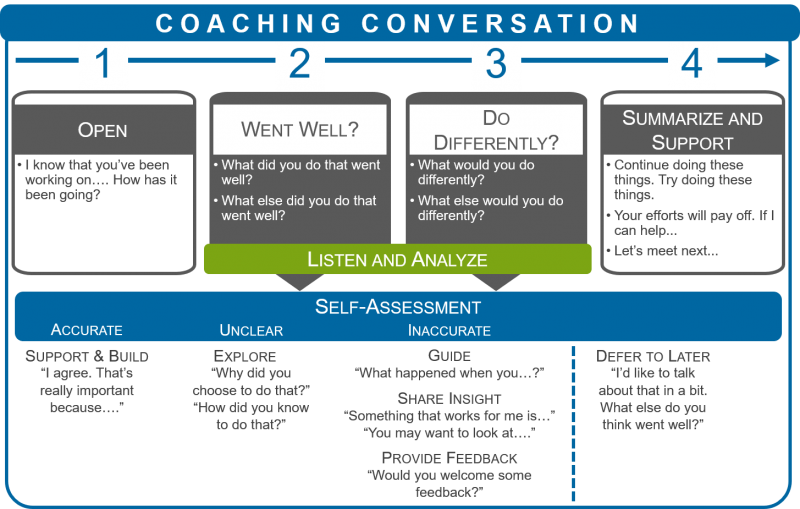 Entelechy's Coaching Conversation begins with a performance-related open-ended question; this allows the coach to gauge how the conversation might go based on the coachee’s response. The coach asks the coachee what went particularly well and listens for the responses. By identifying what went well first, a positive tone for the coaching conversation is set. The coach focuses last on areas of opportunity, things the coachee could do differently to make performance even better because that’s what you want the coachee to remember most. The coach asks each of the two questions TWICE. Often the coachee will give an obvious answer the first time the question is asked. Asking the question again tends to get the coachee to dig a little harder to examine his performance a little more closely to come up with the next, not-so-obvious layer. Lastly, you want to summarize the important points what to keep doing because it went well and what to do differently and express your support in the coachee. Coaching is one of the most nuanced and difficult to master management skills. Contact an Entelechy expert to discuss how to best introduce coaching to your leaders. Leading a Difficult Conversation sounds so simple in theory. Difficult Conversations are the ones we all tend to or want to avoid. Why? Because we fear, or are concerned about, how the employee may react. A Difficult Conversation is necessary in situations where performance or behavior is unacceptable and the employee is less willing — or unwilling — to address the issue. 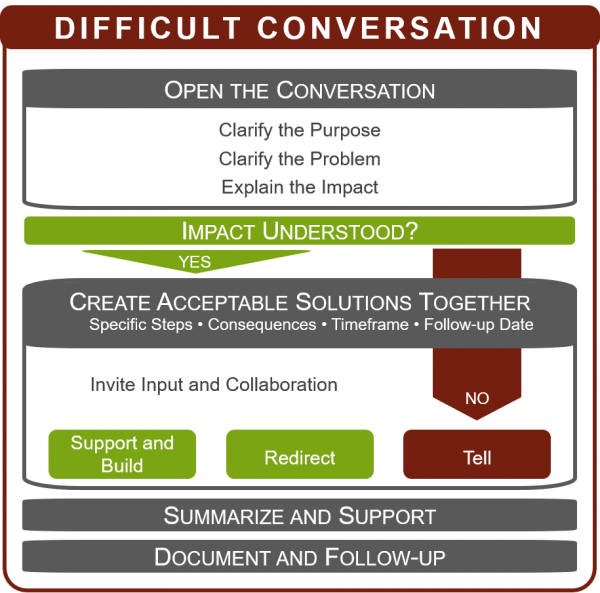 Entelechy's Difficult Conversation Model is a handy resource for managing performance issues that are more controversial, or that are not effectively addressed through constructive feedback. Issues such as tardiness, continual poor performance, and others are best handled by a direct, objective approach. By following the Difficult Conversation Model, you can feel confident in addressing these thorny issues with employees.